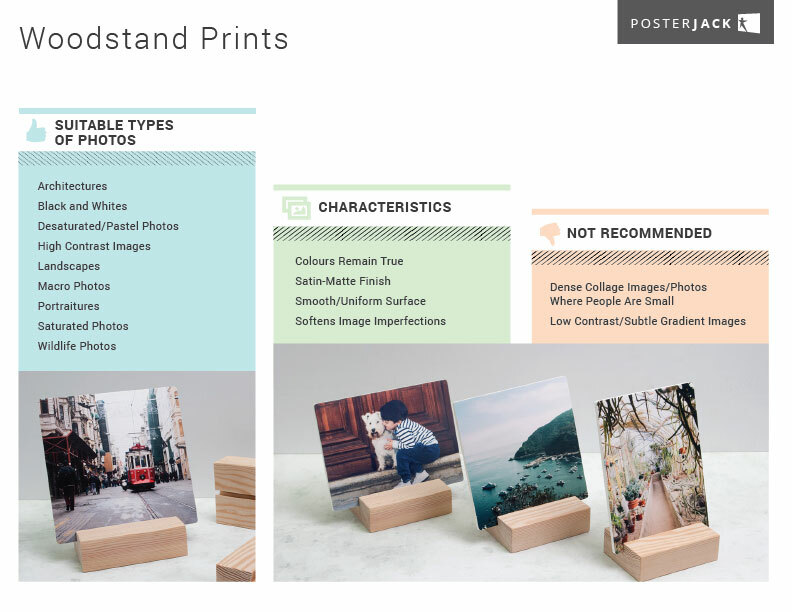 Woodstand Prints present a unique and creative way to turn your photos into art in a small format. High contrast images look best with this product and image imperfections are softened. Because of its small format, we recommend you don’t use photos where people are standing at a distance. Trying to print collages in this format is also not recommended. Virtually all other types of photos will look great as a Woodstand Print. Please refer to the chart below for more information.